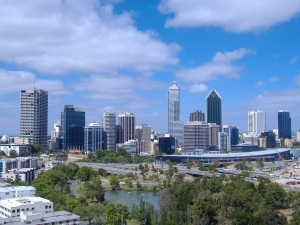 Property prices in suburbs of Perth, Australia, have fallen and some house sales have halved in two years. Quarterly property sales have gone from 149 to just 70 in the past two years and average prices for houses and units have fallen by 7% this year. In the suburbs of Perth the average price of a home is now $525,000, the same price as five years ago. The number of empty properties has also risen, with 6.4% of houses, units and apartments currently standing vacant. Across Western Australia, other suburbs have seen marked falls in property values and sales. Port Hedland, Karratha, Newman and Kambalda have all seen property market falls in recent years. Port Hedland and neighbouring South Hedland have been in decline for the past three years with the number of property sales falling from 80 per quarter three years ago to around 30 per quarter in 2015. Three years ago, Port Hedland had an average house price of $1.3m; today it is $880,000. In South Hedland the average price is down to $680,000. Average weekly rent has dropped from $2,500 to $900 in Port Hedland and to $650 in South Hedland. Vacancy rates in Port Hedland are currently 6.5% and South Hedland 7%.